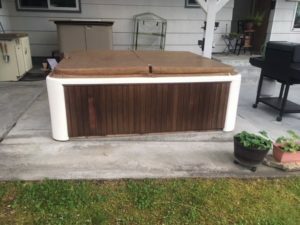 How long should a hot tub last? If it’s a Hot Spring, it could be 30+ years! 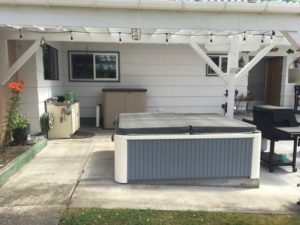 August 1, 2018 – One of the things I love about selling Hot Spring Spas is the longevity of the product. While no product is perfect, it’s gratifying to hear from customers periodically that they love their tub, and it’s been serving them well for 12, 15, 18 years and so on. Even for me, every once in a while, I get stunned by how long a Hot Spring Spa has been out there bubbling away. One such case happened to me just a couple of months ago. A customer contacted us who had just moved into a house with a Hot Spring Spa. They had been using it, but (story of a hot tub owner’s life! ), the cover had become waterlogged and needed replacing. She was stumped, however, as to which model she had. 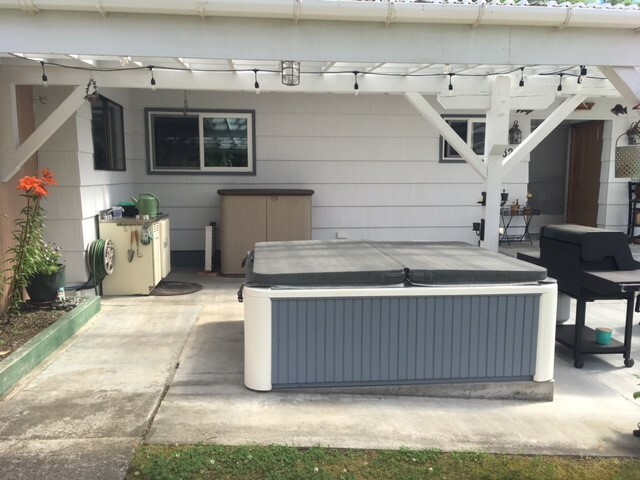 After a chat with her, I asked her to shoot some photos of the tub and of the interior of the equipment bay to help figure out which hot tub she owned. Well…when the photos arrived I was amazed! After some sleuthing, we deduced that her tub was most likely a Hot Spring Indoor/Outdoor Spa—dating back to around 1986! (For history and hot tub trivia buffs, the Indoor/Outdoor was the original version of today’s Hot Spring Sovereign. It was named the Indoor/Outdoor because the height of the tub allowed it to fit through a standard door for indoor use if desired.) They were on a mission to update the look of it a bit, so they were on the hunt for a gray cover to match up with the gray staining they were going to do to the Redwood cabinet of the tub. I just wanted to thank you both for helping me with my new spa cover. Thought you might like to see my before and after. The ole lady got a new ‘do! I really enjoyed all my time completing this task. Your staff is superb! You can certainly share my pics on your page! OH, and I forgot to add…when I took the old cover to the bone yard, it weighed 140lbs!! Can you believe that? It must have gotten all water logged! This one is going to be so nice to take on and off! If you’re thinking about a hot tub, think about a Hot Spring Spa! It takes the moniker “Hot Tub Time Machine” to a whole new level!